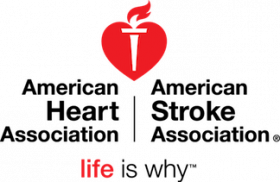 The American Heart Association (AHA) has an excellent opportunity for a Vice President, Executive Director for Voices for Healthy Kids. Our Executive Director is key to making a healthier generation a reality. Location of selected candidate is flexible as long as location allows for effective and cost-efficient travel. The Executive Director is the key management leader for Voices for Healthy Kids and is responsible for overseeing the administration, programs and strategic plan of the initiative. The Executive Director sets strategy and vision, builds culture, leads the senior team, and allocates resources appropriately. Working in collaboration with the Robert Wood Johnson Foundation, the Executive Director sets goals and priorities for the initiative and works systematically to meet them. Lead the mission and vision of the initiative. Develop and implement strategic plans that advance public policy advocacy at the state and community levels. Collaborate with RWJF to develop strategy, policy priorities, and evaluation metrics. Plan and manage the budget and ensure that Voices for Healthy Kids is a financially viable, sustainable initiative with the resources to meet current and projected growth. Ensure compliance with relevant state and federal laws and regulations. Build a high-performing senior leadership team and play an active role in attracting, retaining and developing staff. Participate in identifying and cultivating corporate, individual and foundation sponsors. Reach out to the issue advocacy community to present Voices for Healthy Kids, its vision and services through public presentations and by attending relevant events, conferences and gatherings. Develop and work with the Voices for Healthy Kids Strategic Advisory Committee as well as other national partner organizations. Requires an advanced degree in a related field of study. Minimum of ten (10) years of e xperience in advocacy activities, government affairs, and/or public health. Demonstrated ability to simultaneously manage multiple, complex projects in varying stages of development under time constraints. Must be able to travel overnight approx. 25% of the time.